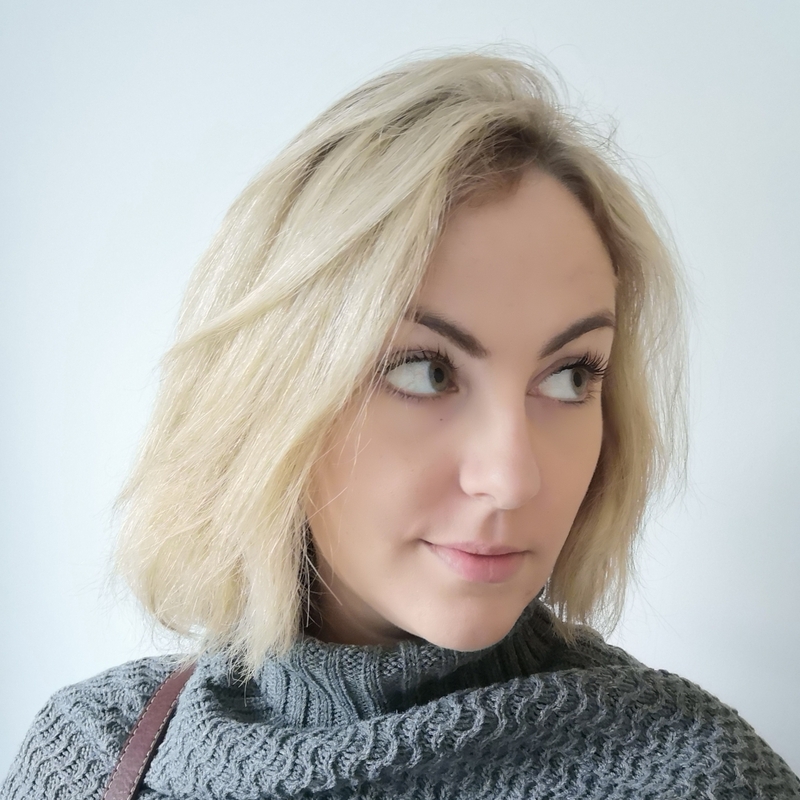 Recently I went to Christmas in July. 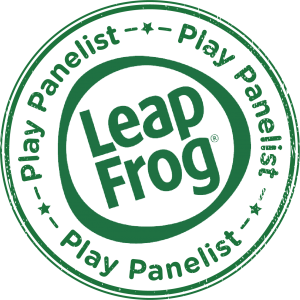 Essentially, it’s a bunch of brands coming together to show off everything they have in store for Christmas. One of the brands there was My Fairy Garden, showcasing their newest fairy gardens including the Fairy Light Garden. 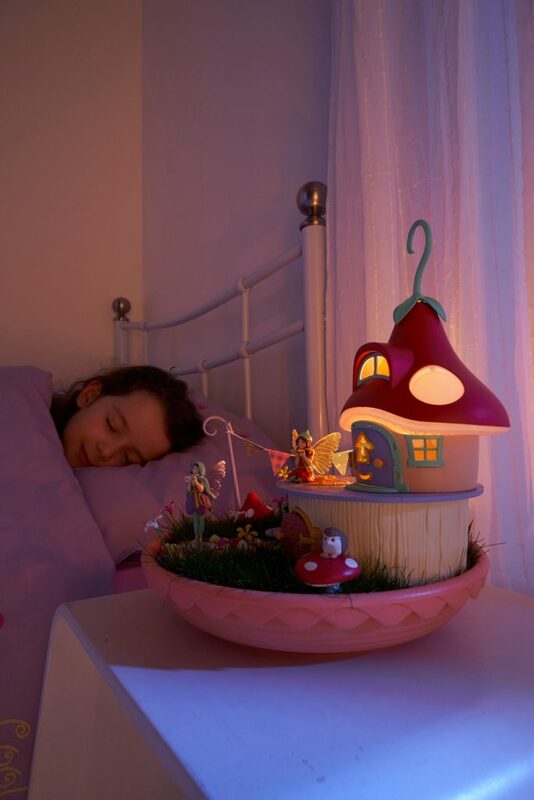 With everything you need to make a living fairy garden except the compost, the Fairy Light Garden with fairies, animals and toadstool can also double as a night light. Blow on the toadstool’s window to make it light up and it’ll play music as it lights up! Blow on it again to put the light out. 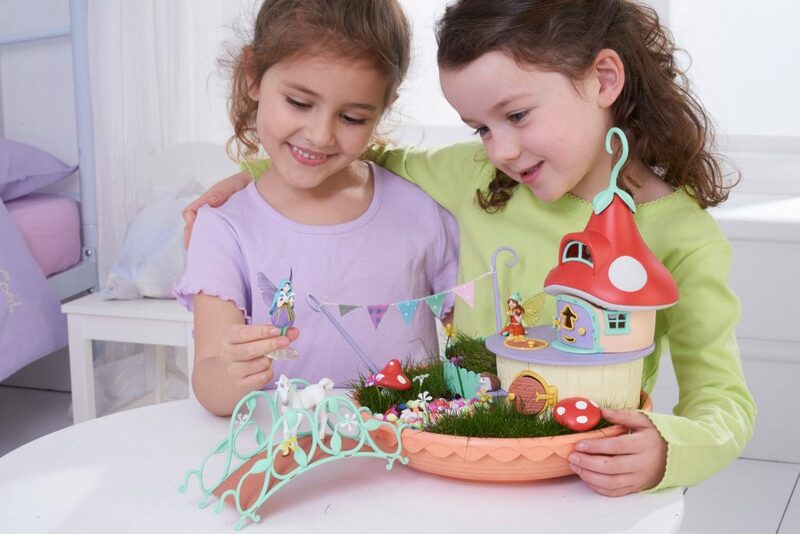 The Fairy Light Garden even comes with grass seed so you can offer your fairies a beautiful magical fairy home. 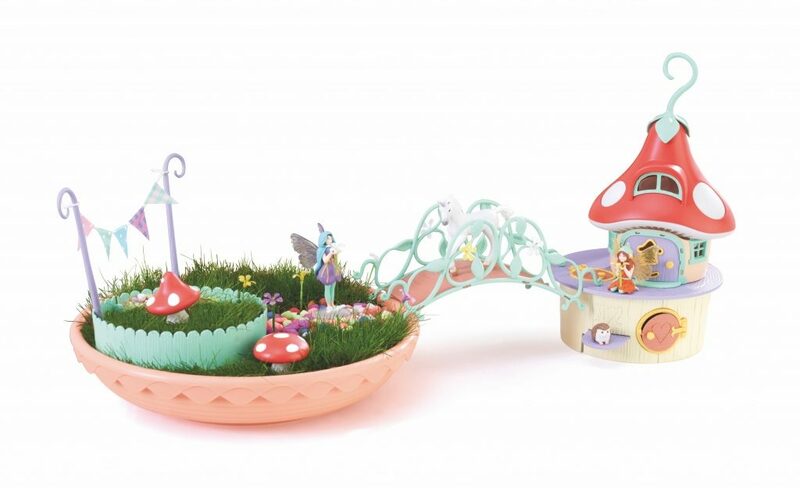 There is a secret tunnel and a hidden home inside the toadstool for the little hedgehog friend, and a magical bridge which connects with other My Fairy Garden products you might already have. You can arrange the Fairy Light Garden in any way your imagination lets you! 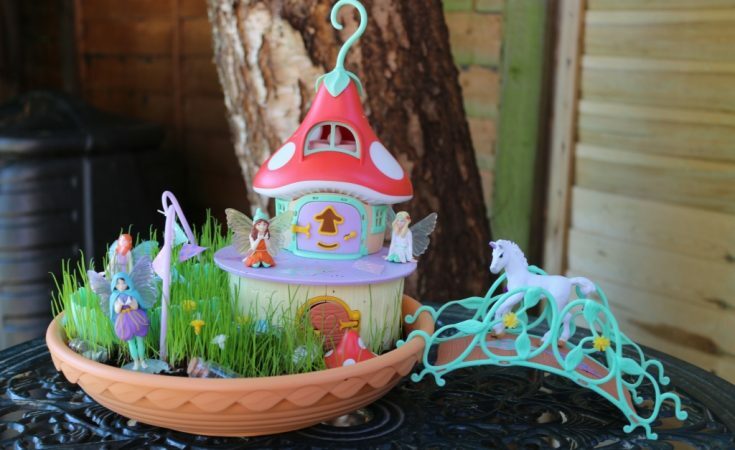 My daughter absolutely loves fairies, and my attempts to make a homemade fairy garden have always been pretty awful, she absolutely loves her My Fairy Garden; the grass has grown very quickly! In the My Fairy Garden product box you get: The Fairy Garden bowl, Fairy Garden Bowl, Light-up musical toadstool fairy house, raised growing bed, raised decking with hedgehog house, fairy Heather figure, fairy Evie figure, hedgehog figure, unicorn foal figure, fairy toadstool, fairy bridge with flowers, posts with cords & bunting sticker sheet, packet of grass seeds, coloured gravel, fairy dust in vial, fairy flowers, and a colour activity booklet. 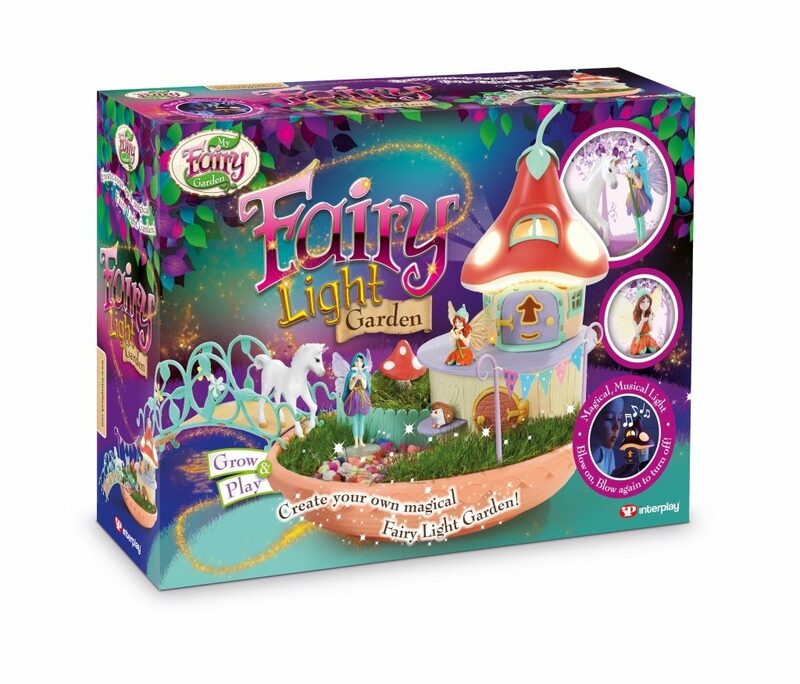 The My Fairy Garden Fairy Lights garden has an RRP of £29.99 and is available from all good toy retailers including Debenhams, Very, Littlewoods, Amazon.co.uk and many more retailers. 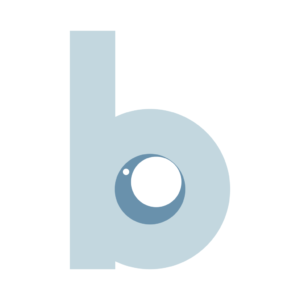 WIN a Fairy Light Garden! Be sure to follow My Fairy Garden on Instagram and Twitter.